Filipa discovered yoga many years ago while living in Portugal, however it was in London in 2007 that it became part of her weekly and then daily routine. She began attending yoga courses and workshops and soon found herself planning her life around these events. In 2011, having decided to embrace the challenge of becoming a yoga teacher Filipa enrolled in a year-long Vinyasa Yoga Flow teacher training course with Yoga London. Then in May 2013 she completed her Pregnancy Yoga Teacher Training with Uma Dinsmore-Tuli at Yoga Campus/Sitaram, and in February 2018 she completed her 500-hours certificate with Jason Crandell, integrating power, precision and mindfulness, with great focus on the anatomy which has enhanced Filipa’s personal practice and teaching. Filipa has also completed her training in Yoga for Chlidren, Yoga Nidra, and Restorative Yoga. 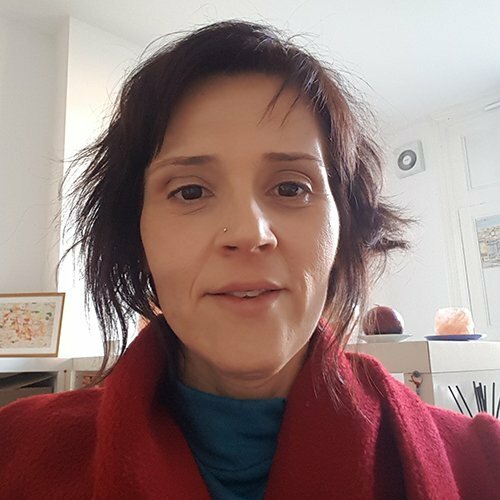 The idea of working with spiritual, emotional and physical opposites (moon/sun, feminine/masculine, emotional/rational) fascinates Filipa. As a yoga teacher, she strives to convey that each class needs to be balanced and relevant to each student, encouraging students to respect the place where they are and being able to progress safely in their practice. For Filipa, yoga is about shifting perspective. It has allowed her to see objectively her life’s journey and has taught her acceptance, compassion, dedication, commitment and patience.